A nicely designed, powerful dive watch that won't break the bank! 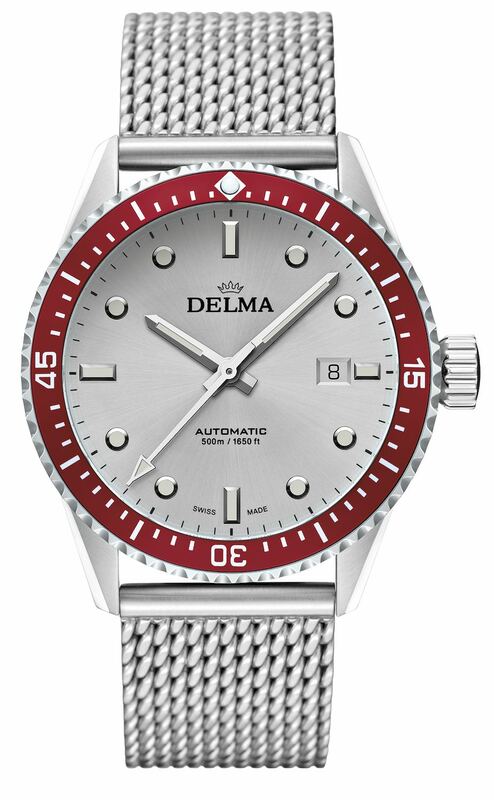 Delma, the independent Swiss watch brand founded in the 1920s made a name for itself with its robust deep dive watches. The latest ‘ultimate divers’ watch’, the Blue Shark III and its 4,000m water-resistant case, is going to be accompanied by another nautical-inspired piece, yet in the affordable segment. 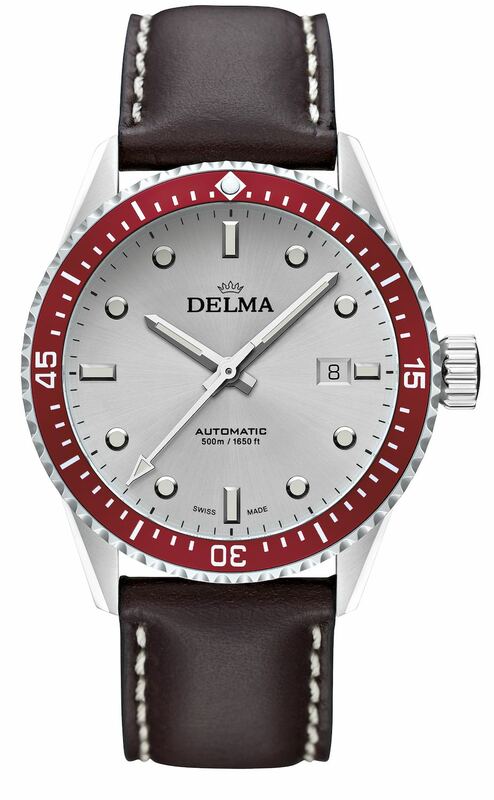 Retro style, Swiss automatic movement, 500m water-resistance… for less than a grand. 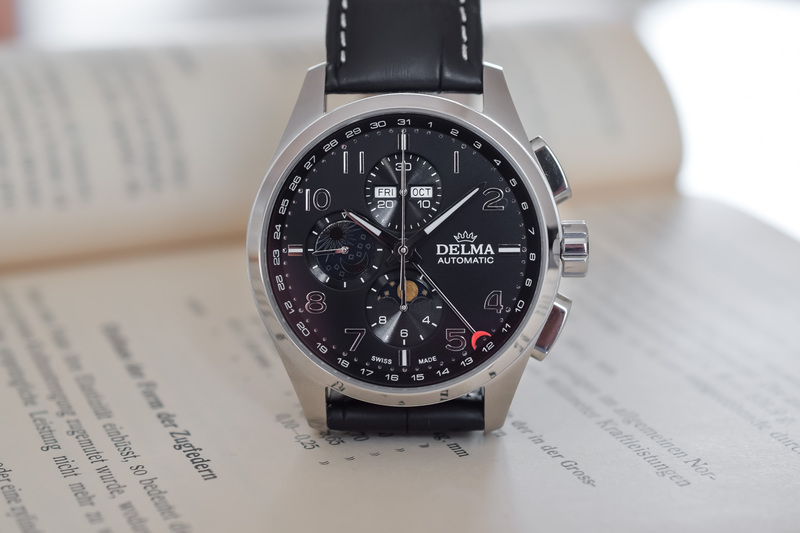 Meet the Delma Cayman Automatic. What is the Cayman? 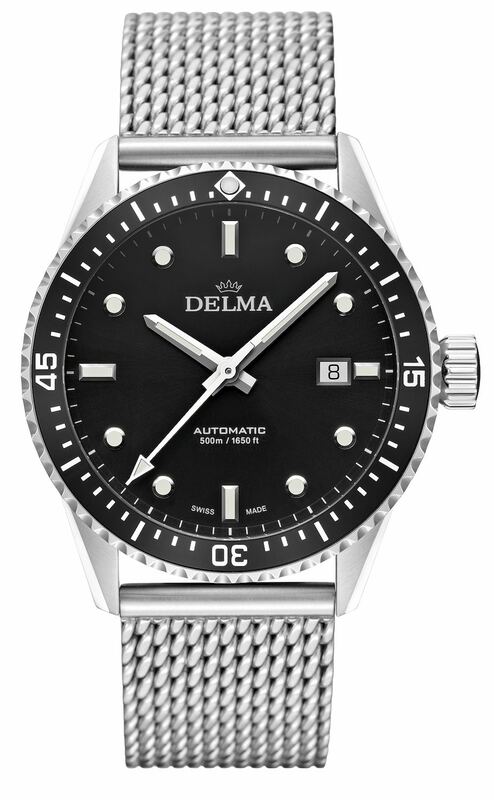 Clearly, not a revolution, as we’re looking at a very classical offer: a vintage-inspired automatic dive watch, which respects all the codes of the industry. 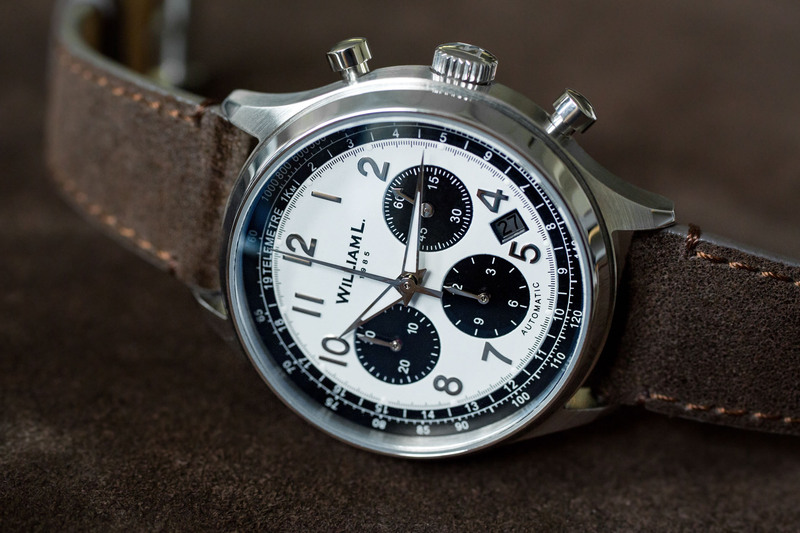 Nevertheless, it is a promising watch, with a nicely designed case, pleasant colour codes and a reliable automatic movement for a very decent price. And that’s enough to tickle our interest. The Delma Cayman Automatic also comes with a sleek dial, with applied markers and facetted hands. All are filled with luminous paint providing a good contrast and optimal legibility. 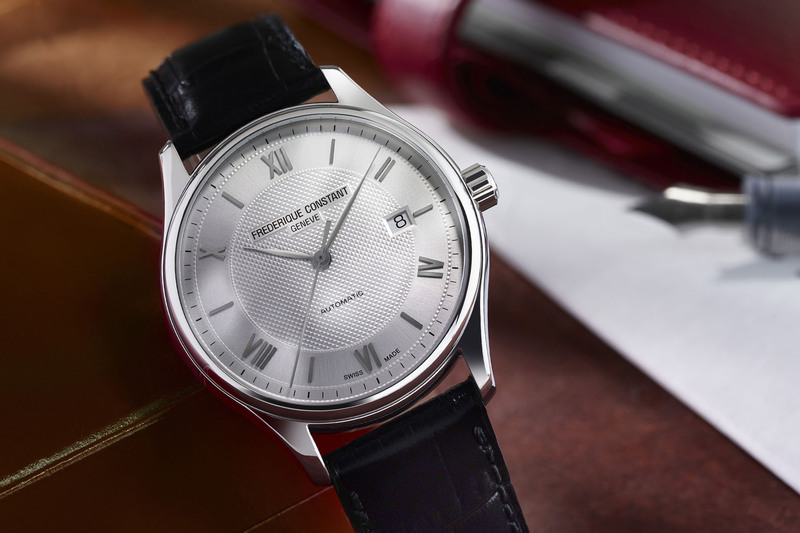 The display is classical, with hours, minutes, seconds and date at 3 o’clock. 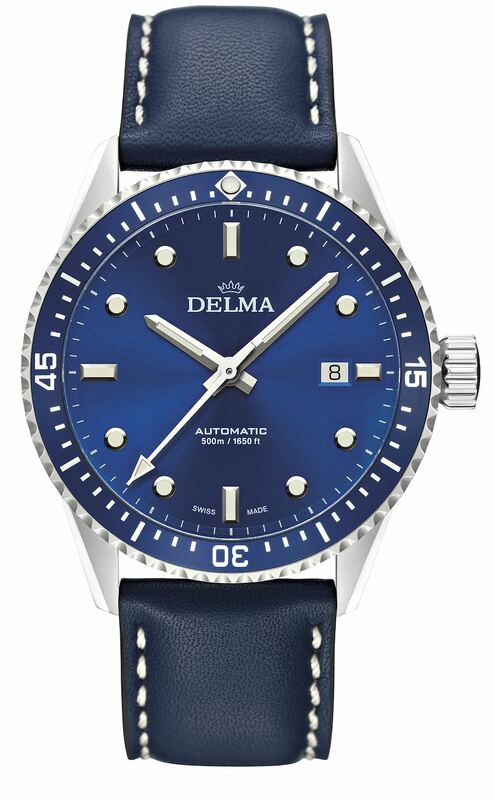 The sunray-brushed dial is available in 3 different colours – black, blue and silver – and so is the aluminium insert on the bezel – in black, blue or burgundy. 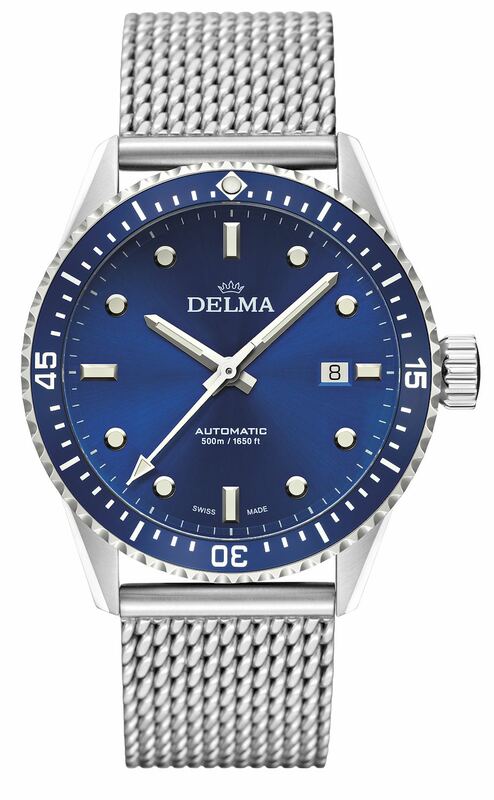 Inside the case of this automatic version of the Delma Cayman is the ubiquitous ETA 2824-2, a reliable and easy-to-service Swiss movement visible through a sapphire caseback (note that a quartz version is also available). 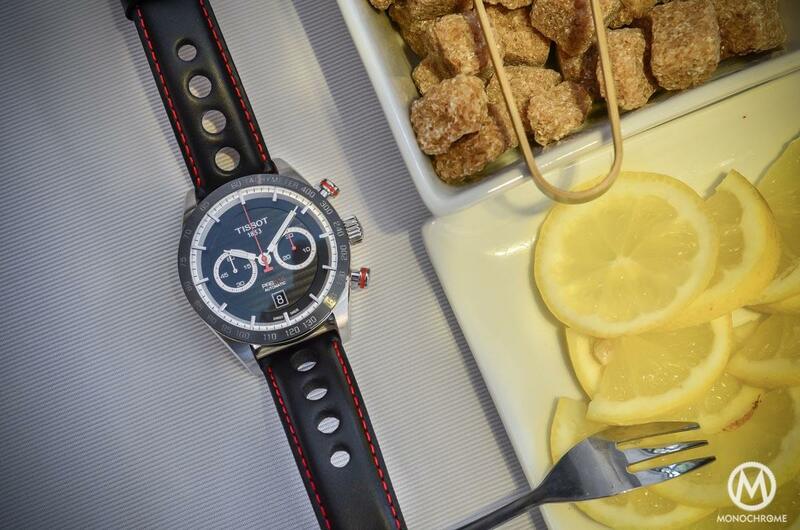 The watch can be worn on either a leather strap with a steel pin buckle or a Milanese mesh steel bracelet. 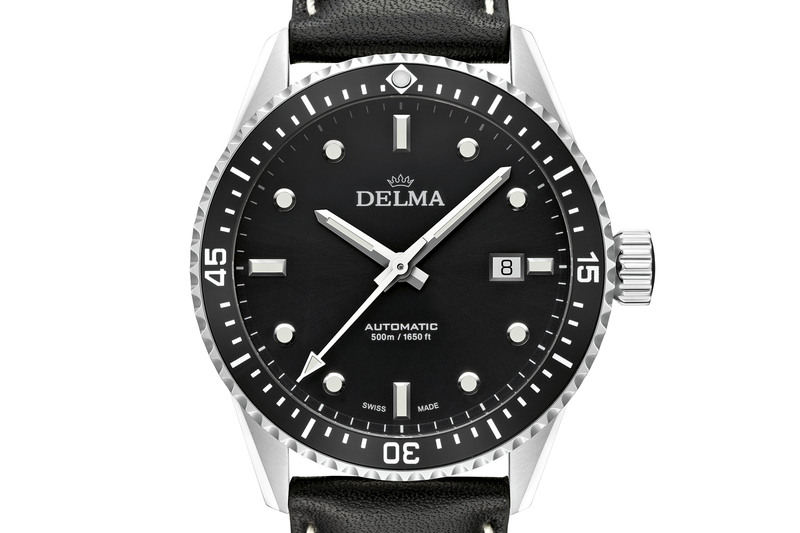 The Delma Cayman Automatic is a nicely designed, well-proportioned and, above all, a well-priced dive watch. 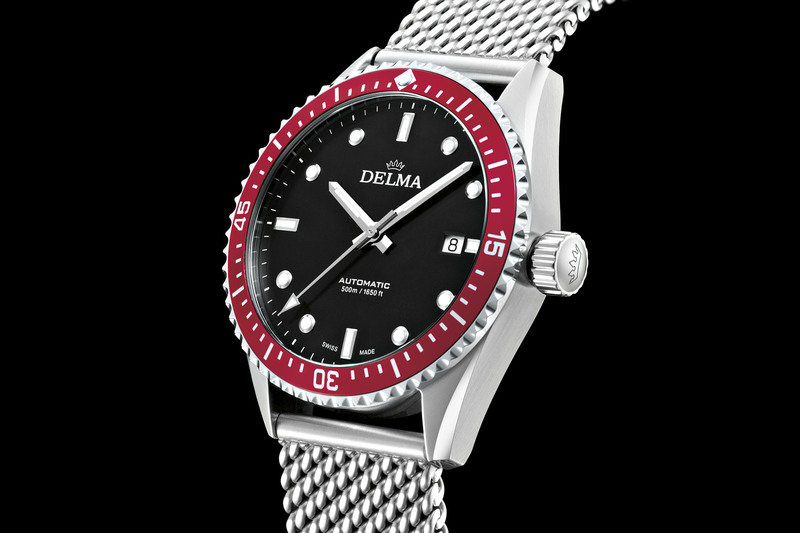 Indeed, the leather strap model will be available for CHF 990 while the Milanese mesh model will be priced at CHF 1,150. More details at delma.ch. 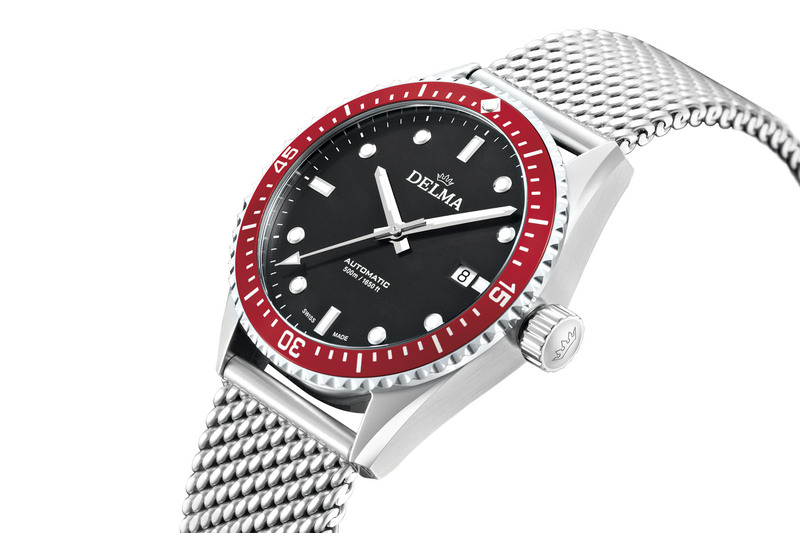 If you had described this to me I would have said “not for me” but when I saw it especially the mesh strap with the silver dial and red bezel , a combination I would never expect to work I was really surprised. Cookie cutter watch in practically all aspects. A transparent caseback is laughable on a diver, honestly. I hope they find their market. I won’t be in it.